Add this informative program to your video library. In less than 25 minutes, you can begin to unravel what many have not understood about recent events in Egypt through viewing this artfully filmed documentary. Delve into the leadership style and decisions made by Egypt's fourth president Hosni Mubarak, as he sought to deflect an uprising in the latter years of his office. Learn about how Mubarak used political promises, including free and transparent elections to create calm and co-op his constituents. 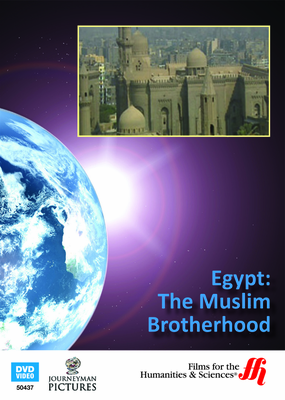 Use this program to investigate why his public, weary of the lies they felt they had been told, decided to place their faith in the Muslim Brotherhood, an organization still considered illegal within the country who launched a thinly veiled campaign to gain power. Master a better grasp of how a public, who had decided to no longer trust their leader who had been their president since 1981, could so swiftly change allegiance so to the Muslim Brotherhood. Go behind the news stories and uncover how the Muslim Brotherhood masked their own political appearance, even so much as to change their long-time slogan from "Islam is the Solution" to "Democracy is the Solution." Enjoy interviews from prominent Egyptian activists and political figures, such as Dr. Ali Abdel Fattah, a senior Muslim Brotherhood official, and Dr. Saad Eddin Ibrahim. one of Egypt's leading campaigners for democracy.